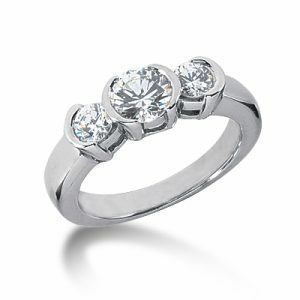 This lovely fancy ring comes with sparkling Round cut diamonds. 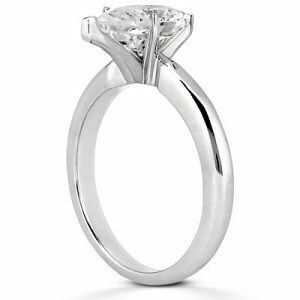 Total carat weight 0.75. 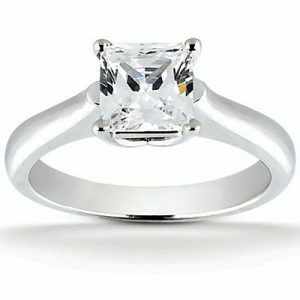 This striking classic Round cut diamond solitaire setting offers delicate shine to your finger. 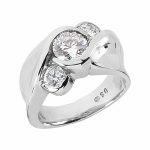 The ring has a diamond weight options of 0.50, 0.75 or 1.00 carat. 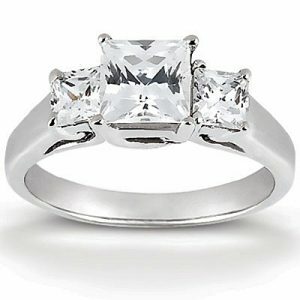 This very simple diamond ring features a Princess cut center stone in a contemporary four prong setting. Stylish design gives the ring gorgeous, elegant look while keeping it simple. 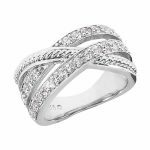 The ring has a diamond weight options of 0.50, 0.75 or 1.00 carat. 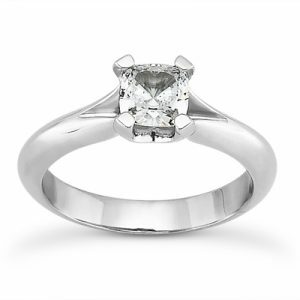 The peaceful charm of ancient times is perfectly captured in this Princess cut diamond ring. 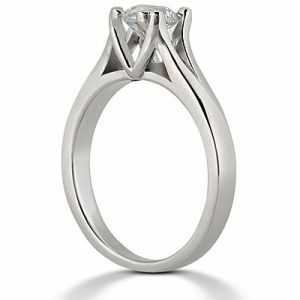 The ring has a diamond weight options of 0.50, 0.75 or 1.00 carat. 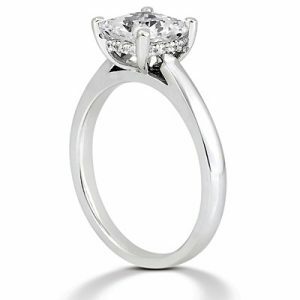 If we have the honor to pick a simple, beautiful and classy piece as an engagement ring it would be this Cushion cut solitaire ring. 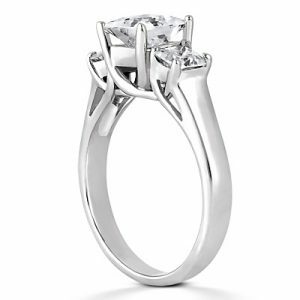 It’s incredible! 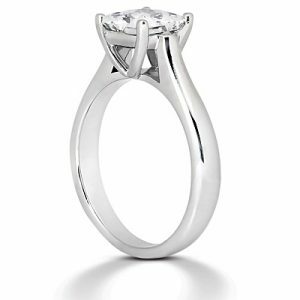 The ring has a diamond weight options of 0.50, 0.75 or 1.00 carat. 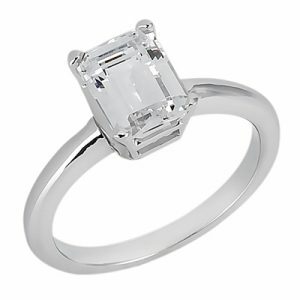 Sophisticated appearance of the exclusive Emerald cut diamond instantly attracts attention. 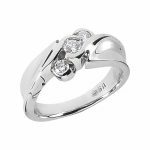 Long elegant lines of distinguish rectangular shape of the stone dramatically accentuates by simple clean band leaving all the attention to the diamond. The ring has a diamond weight options of 0.50, 0.75 or 1.00 carat. 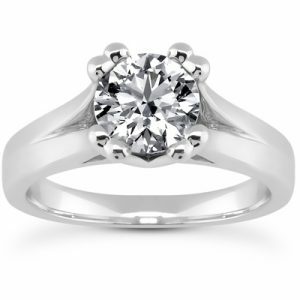 The design of this clean and classic engagement ring is simple and yet very impressive. 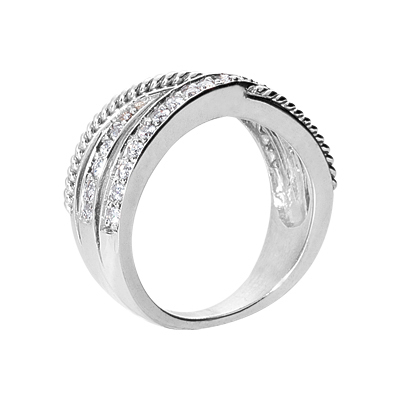 It makes the ring suitable for all kinds of dressing styles. 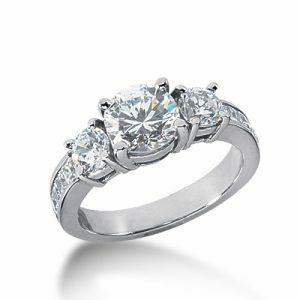 The ring has a diamond weight 0.75 carat on center stone and 0.20 carat on side stones. 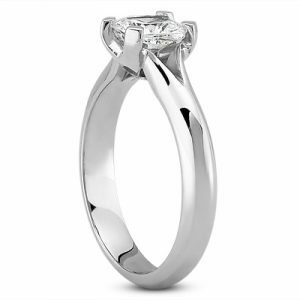 This magnificent diamond engagement ring with three Round cut diamonds in the center and small Princess cut diamonds on the shank, makes it gorgeous! 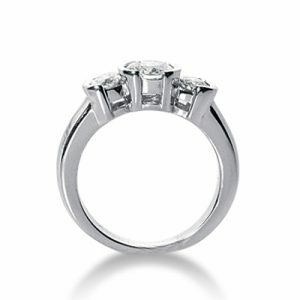 Round cut diamond in the center weights 1.25 carats and Round cut diamonds on the sides weights 0.30 carats. 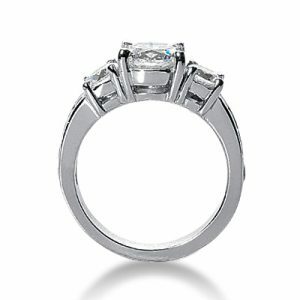 Small Princess cut stones on the band weights 0.50 carats. 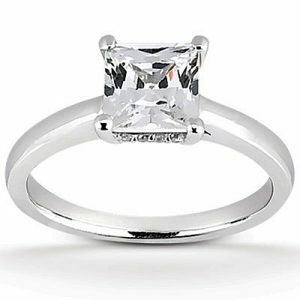 This simple but beautiful three Princess cut diamonds engagement ring comes with 0.45 carat center stone and 0.18 carats side stones.